What did you all do over the Memorial Day weekend? Deb and I spent a portion of it looking for plastic containers, in the woods, using billion-dollar satellites; otherwise known as Geocaching. 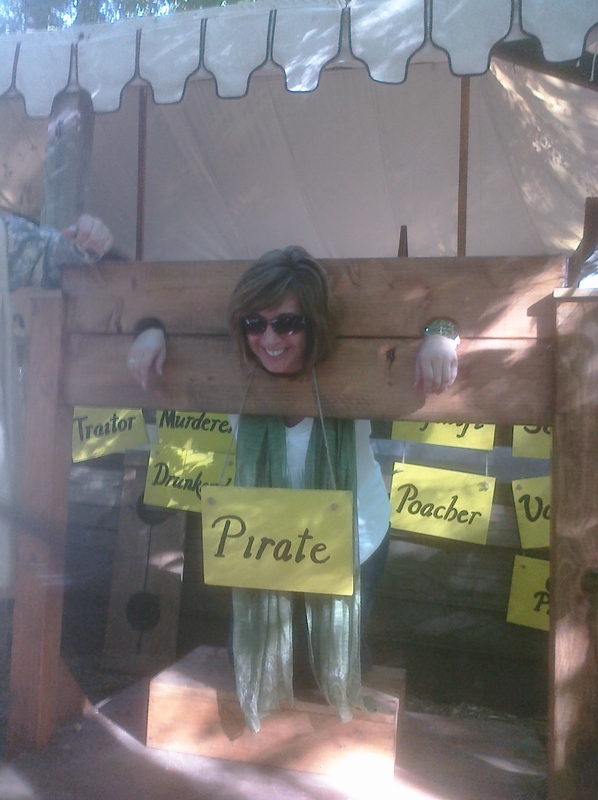 Knowing that Deb has always had a thing for pirates, searching for buried treasure just seemed like a great way to spend an afternoon. We had been meaning to get to this over the last couple of months but something always seemed to come up on the weekends and we just never had the chance to start. But this weekend we finally got to around to it. 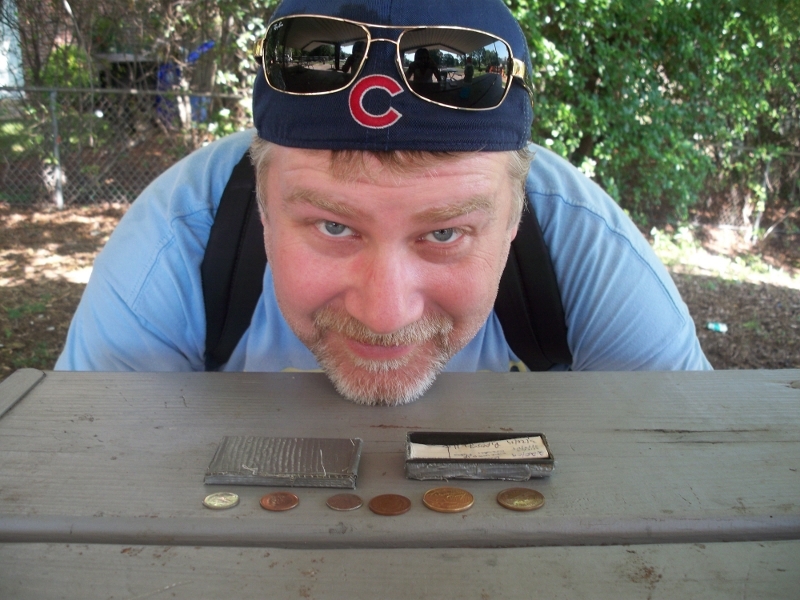 For those that don’t know, Geocaching is basically a treasure hunting game where people from all over hide little treasures (or caches) just about anywhere and everywhere. 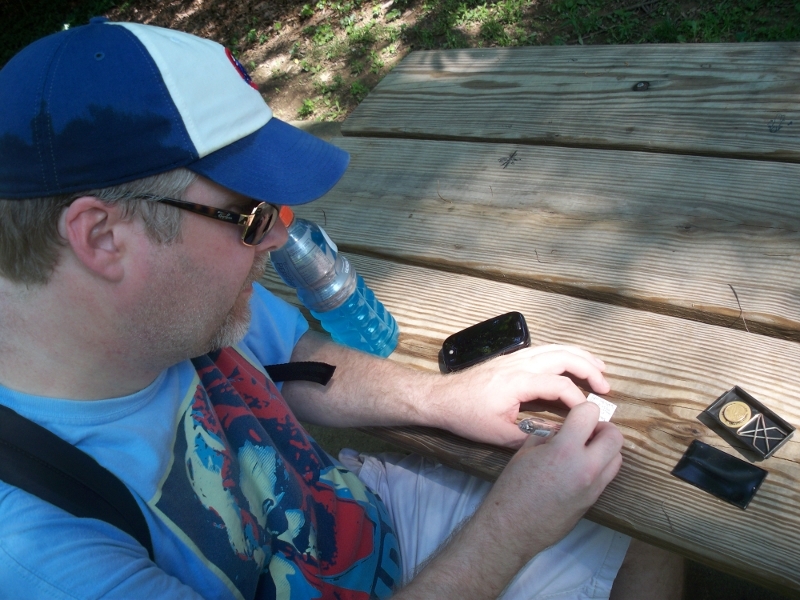 You just log into the Geocaching website and find a few of the caches to get you on your way, grab a GPS and head out. Luckily, they have really good apps for just about every smartphone now so we just used the phone as our GPS and it worked really well. These caches can be hidden just about anywhere and there are usually a couple clues on the site to help you when you reach the coordinates on your GPS. We then just packed up a backpack with some water and other essentials for the day and headed out. The first cache that we found was literally a stones throw from Deb’s place. Unfortunately for us, I had no idea how to work the app on my phone when we started out so we walked about a mile in a big circle before I figured out how to use the GPS. When we realized where we were supposed to be I was a bit embarrassed. We headed to the small park where the GPS said I should have taken us initially and after just a few minutes of searching we found the small magnetic container hidden under a picnic table. We opened up the container and found a couple of small items and a logfile. We signed the log and carefully replaced the cache in it’s spot (making sure no one was watching) and headed out excited to have the first one under our belts. We hit a few more of the spots during the day. One of the spots was a cache that was setup as a foreign coin trading cache. We found this one and Deb, having just returned from her business trip to Brazil, added a 25 Centavo coin to the collection. 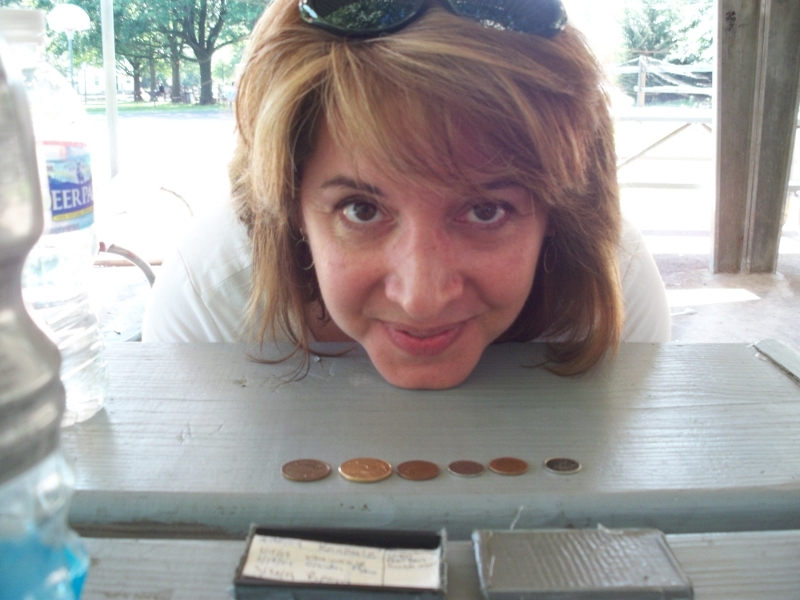 We took away a crappy little Canadian coin to make some room in the cache. I had to shoo away a couple of bratty little kids to make sure we could get to and then replace the cache without their noticing but we got in and out with no problems. We didn’t always have great luck when we were searching though. We spent about an hour searching a small park over in Arlington for a cache that we are now pretty sure is no longer there. We searched under every rock and bush, up every tree and signpost and in every spot we could think of before just giving up. We were really glad this wasn’t the first stop we had on our circuit of Arlington or we might have just given up altogether. All in all though, this was really a fun day. A really cheap way to go out and have a lot of fun and get some good exercise along the way on a gorgeous day. We ended up exhausted and sweaty and our feet were pretty sore but we had a great time. We are planning to do a lot more over the weekends as we get further into summer. I think next week we are going to be hitting up Fountainhead Park and seeing how many caches we can find while enjoying a fun little hike through the woods. So… if you are looking for a challenging way to spend a sunny day and want to get out and get a bit of exercise for both your body and your brain…you really should give Geocaching a try. You never know, we might run into you on a trail out there somewhere in the area this summer.